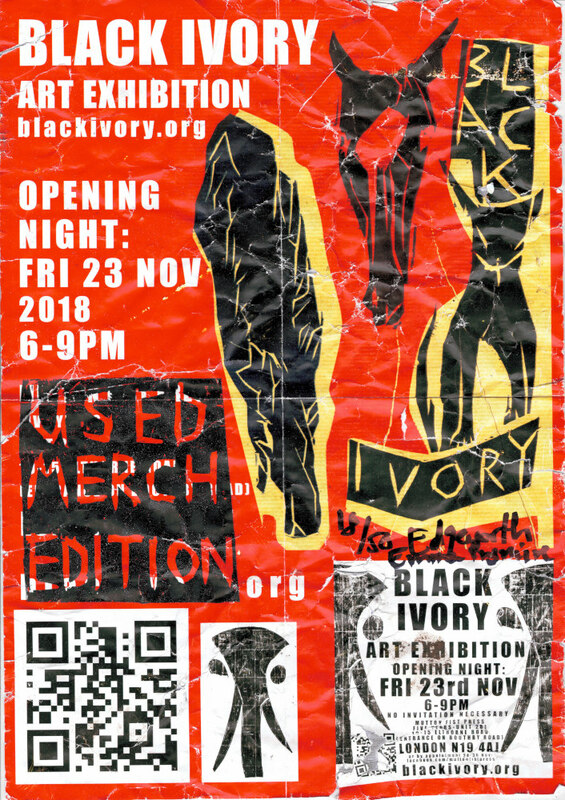 BLACK IVORY EXHIBITION POSTER with Original woodcut print on the front. Condition: Battered. These posters have been trodden on, folded, screwed up, torn and gaffer taped on the back where deemed necessary. If you like a hole in the horses face, ask for number 20. November 23rd 2018. 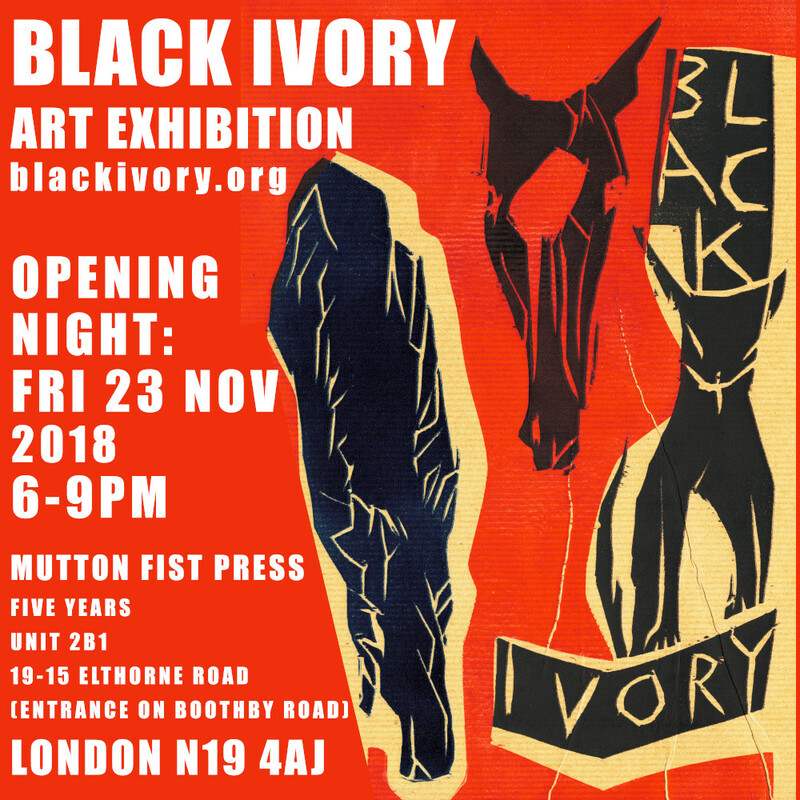 At Mutton Fist Press, Archway, North London. 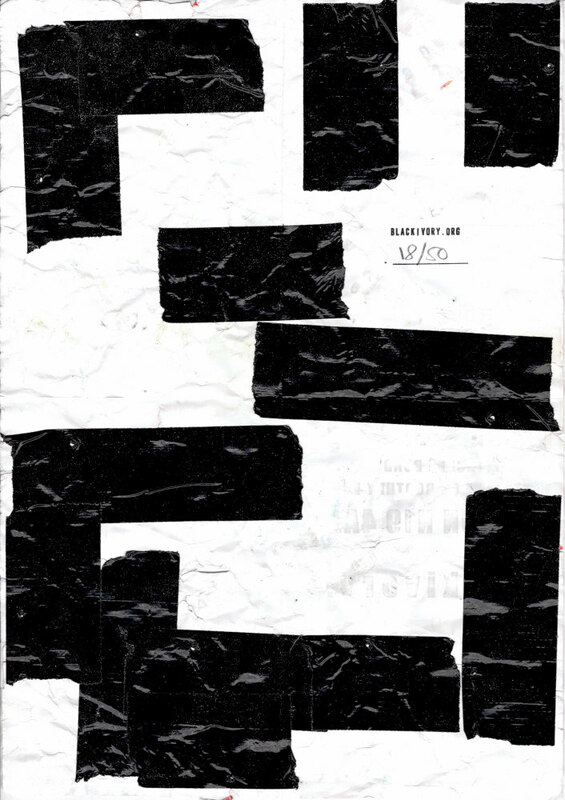 6-9pm. Print the notes and hope someone wants one. Tutorial over. Exchangeable for selected Black Ivory Printmaking Club products. Each note has a unique serial number. How to start your own worthless currency? Do it at home. No one’s giving us any of their sterling. 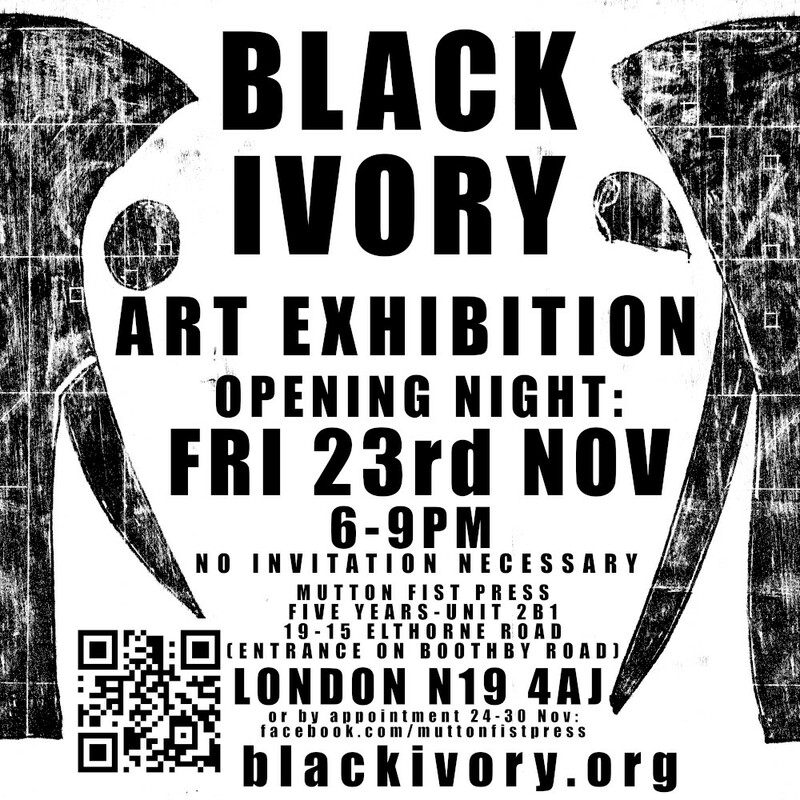 We’ve sold 1 copy of Black Ivory 1, 2nd ed, to someone we already know. Pound sterling’s dead to us. CD Albums sell 0 in US dollars. Will Amazon sell our books? I make my own money. Hand-printed some 1’s, 2’s. and 3’s. Practically forge-proof. Identification scribbles on the back intertwined with soft pencil handwritten description. Fraud Prevention sheets record everything for cross-reference. Bear in mind, marks are on the acetate and scanner glass. Make money yourself at home. See our Pinterest for complete notes to date. Buy early to get a low serial number. Or better go to our pixels, where you can buy prints, handbags, duvet covers or phone cases of the fraud prevention sheets. So, we have to figure how much 1 Black Ivory is worth in pound sterling.